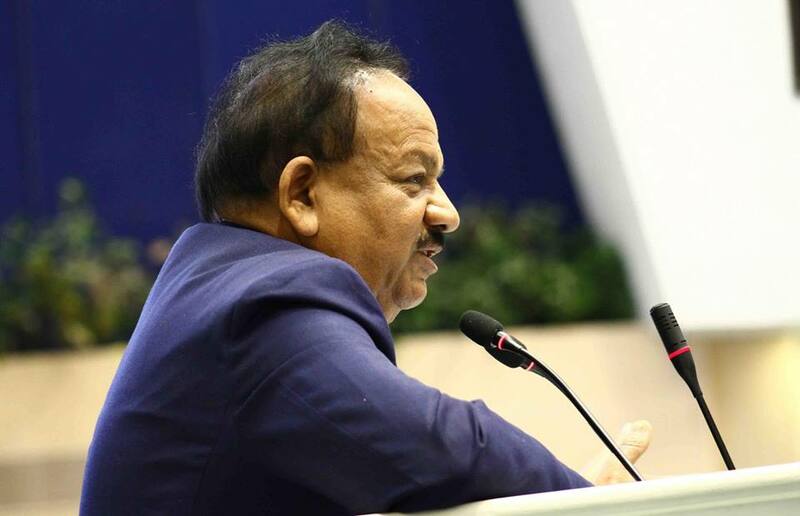 New Delhi: Expressing the Government’s commitment to improve the status of women scientists, Union Minister for Science and Technology, Earth Sciences and Environment, Forest and Climate Change, Dr. Harsh Vardhan, has urged the scientific fraternity to correct the under-representation of women in the field of Science & Technology. Addressing the national conference on “Technological empowerment of women” to commemorate the International Women’s Day in New Delhi today, Dr. Harsh Vardhan said that steps must be taken to expand funding to research in Science & Technology by women scientists, as the amount of funding at higher levels was less. “Women are not just home-builders, but are nation-builders”, he said. The Minister said that Science & Technology are still considered masculine subjects. Dr. Harsh Vardhan emphasised that women empowerment was the key focus of the Government and outlined various schemes and initiatives for women empowerment. The Minister pointed out that the involvement of women in major achievements helped the GDP to increase by 16%. Dr. Harsh Vardhan granted the Foreign Fellowship in the field of microbiological research on Dr. Karen Nelson. The Minister also released a report titled “Women in Science: A listening session”. He also distributed the National Awards to women scientists in the Senior and Young category on the occasion. Eminent agricultural scientist, Prof. M.S Swaminathan, well-known nuclear scientist Prof Anil Kakodkar and Secretary, DST and Prof Ashutosh Sharma also addressed the gathering. The topic of the Conference – “Technological empowerment of women” is relevant, as the endeavour has attracted the attention and support of many international eminent scientists, as well as some government and non-government agencies. Employment Generation – Avenues, Opportunities and Challenges. Other distinguished speakers from India and abroad invited to share their experiences, views and expertise on related issues include – Prof. P. N. Tandon, Dr. Jenny Graves, Prof. Geraldine Richmond, Dr. VijayRaghavan, Dr. A S Kiran Kumar, Dr. Nitya Rao, Mrs. Bincy Baby, Dr. Kiran Mazumdar Shaw, Dr. Jennifer Ann Thomson, Dr. T. Mohapatra, Prof. Anil Gupta, Prof. Sabah Almomin, Prof. Paramjit Khurana, Dr. Nand Kumar Sai, Prof. Dean E Brenner, Shri Amitabh Kant. Several other distinguished scientists and industrialists also participated in the Conference.